Powered by Mom Blog is part of a Round Robin Flash Giveaway! READ THE INSTRUCTIONS CLOSELY DO NOT COMMENT ON THIS POST GO TO THE FACEBOOK LINK! **Flash Giveaway** Raise your hand if you would LOVE a $20 STARBUCKS gift card just in time for the upcoming holidays? As a “thank you” to our fabulous Facebook Fans, we are having a FLASH Facebook Giveaway right now… and giving one away!!! GO HERE to enter and to find out how to enter for the 15 OTHER $20 Gift Cards! 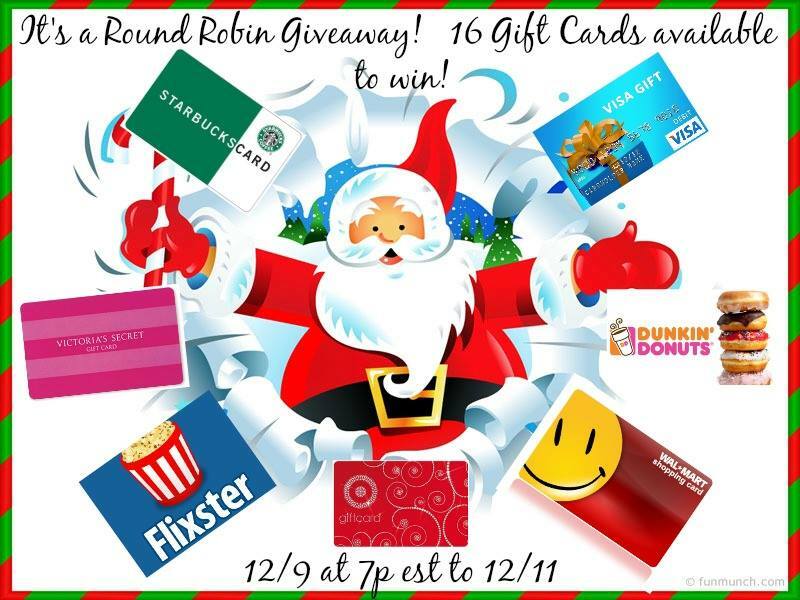 This giveaway is “Round Robin” – style! Once you’ve entered this one, you can HOP to the next Facebook page to enter to win another amazing giveaway. These FLASH GIVEAWAYS end 12/11 at 11:59pm EST – so hurry and enter them all!! Very awesome giveaway! Thank you to all the blogs that participated!